If you’re eating an orange, there’s a very good chance that it’s a Jaffa. Now while their oranges and the brand may happen to be household ‘must-haves’ the website was sadly lacking and to be honest, had been neglected for far too long. Acting as the digital support for The Little Big Voice, we were tasked to design and build their new website. The site had to fully responsive, it had to have an intuitive CMS and most importantly, it had to look great. 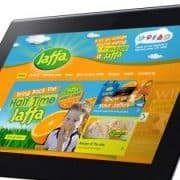 Today Jaffa have a website that meets all their requirements. Groovy Foods are downright scrumptious and packed with goodness and nothing else. They’re a caring, fun brand with a great range of products in their portfolio. What’s also refreshing to hear, they’re going from strength to strength. 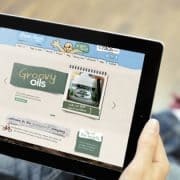 So when our friends at The Little Big Voice asked us to look at The Groovy Food website – we bit their hands off at the opportunity. This was the chance for a to design and build a lovely little site, complete with a shop – all for a brand we all believed in. Take a moment to look at the website. Pernod Ricard are, as you would expect, a very responsible company. This means they take their role as one of the major brands within the alcohol industry seriously. Which is why when they wanted to ensure they had a good attendance to a day where they would be discussing their ongoing responsibility with their staff, they came to MONK. As ever, our approach was slightly left-field. We created a game show called The CODE. But before we could have staff playing in The CODE, we had to make sure the event was packed. 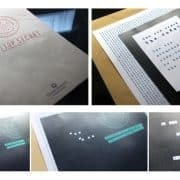 So we sent out a direct mail pack with a secret message hidden in it. Come the day of the event and the game show, we treated it like the big news it was and even went so far as to have a title sequence for it. Facing severe storms and record rainfall, Britain wasn’t exactly braced for romance on February 14th as many spent the traditional lovers’ anniversary battening-down the hatches and preparing for more weather misery. 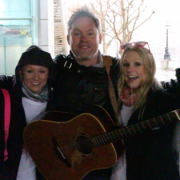 Determined to get Londoners ‘JuiceBursting with Love’ however, MONK, who head-up accounts for Firefox, Pioneer and BlackBerry amongst others, took to the wet and windy streets armed with 350 bottles of JuiceBurst’s limited edition Pink Grapefruit juice and a talented busker, who performed requests and penned 10 completely bespoke love-songs for couples who braved the conditions. Taking requests from passers by and on the brand’s social channels, the JuiceBurst busker quite literally had couples Singing in the Rain as MONK filmed the impromptu performances to post on the JuiceBurst Facebook page. 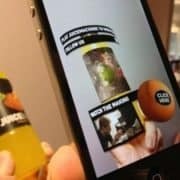 Famed for their augmented-reality-based packaging that sees the ingredients blow-up on the side of your bottle, JuiceBurst were the UK’s second-most blipped brand in 2013, registering over a quarter of a million interactions with loyal consumers. 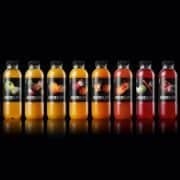 Purity Softdrinks have appointed London creative agency, MONK, to lead the digital strategy for challenger fruit juice brand JuiceBurst. JuiceBurst are the leading producer of augmented reality-based packaging. And JuiceBurst have charged MONK with building on that platform to lead marketing to their key target audience group of 16-­‐24 year olds in 2014. “We were looking for an innovative and forward thinking agency to build on the success we have already had and MONK fit that bill,” Jon Evans, head of marketing at Purity Softdrinks, says. 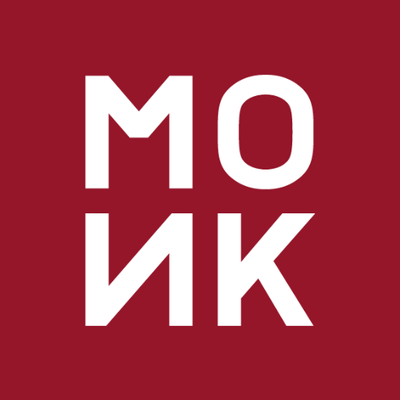 Monk will be charged with overseeing the development of the JuiceBurst portfolio, the brand’s social presence and its relationship with augmented reality platform Blippar. MONK just helped launch the new Alcatel OneTouch Fire across Milan and Rome. 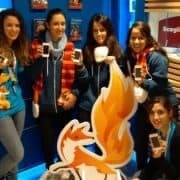 The Alcatel OneTouch Fire is the first Smartphone available with Firefox OS software, giving customers a smarter mobile web experience. The phone brought to Italy by Telecom Italia, will sport a 3.5 inch display, along with a 1GHz processor and a 3.2-megapixel camera. But its most exciting feature — and the one that will probably draw the curiosity of most of its early buyers — is its HTML5 OS developed by the not-for-profit Mozilla Foundation. Meaning more apps and variety for its customers! Watch this space for more information on MONK helping Firefox OS setting the world on fire. MONK has just started working for challenger juice brand, JuiceBurst part of Purity Soft Drinks. The agency will be tasked with launching and supporting new developments across the brands portfolio in the next 12 months. It will also take responsibility for the brands social voice and promotion of successful mobile partnership with Blippar. MONK has been appointed to help work alongside internal teams at Pioneer DJ, to create the identity for its new Global club platform. The still to be named platform will allow more people than ever before to enjoy nightclub culture regardless of whether in a nightclub or not. 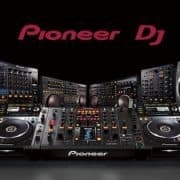 It will work by bringing the DJ and club online and utilizing real time information, creating a richer media space to discover dance music and for the clubber, DJ and nightclub to interact.